Um, who the hell are you, dude? The shocker came while Ventimiglia’s character was on his way back to see his future wife after what was arguably one of the most awful first dates in TV history. But it all ended well when Jack confessed to Rebecca the reason things got so awkward was because he only had $9 to spend on their outing and didn’t want to admit that to her, so they got drenched by a torrential downpour. Becc was clearly smitten by Jack’s honesty and gave him a kiss before leaving her coat behind in his car, hoping he’d return to give it back to her. 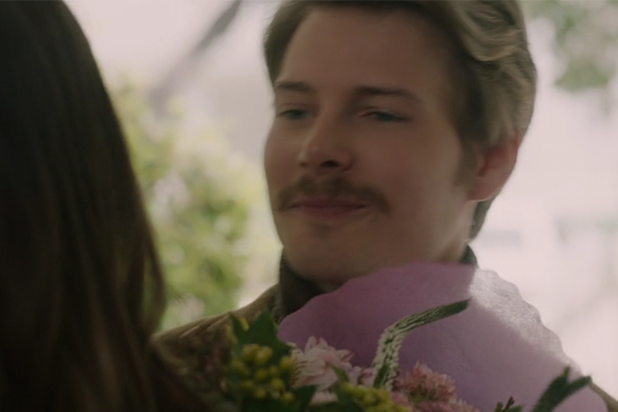 And return he did, but when he was rolling up to her house — also with some flowers — he saw this blonde mustached guy (played by “Weeds” actor Hunter Parrish) at the door, kissing his woman! WTF? Though this guy is obviously about to throw a wrench into one of the greatest love stories ever to grace the small screen, TheWrap has to wonder if we might actually sort of end up liking this unnamed jerk. And Moore told us herself after “This Is Us”s third season premiere in Los Angeles Tuesday that could be the case. “I could see that happening, yeah,” Moore told us, laughing and smiling. Uh oh. While Moore says we aren’t going to find out about this man next episode, we will learn what’s going on here come Episode 3. Until then, TheWrap asked for Moore to give us her take on what Rebecca is feeling about Jack right now, especially after learning he returned from the Vietnam War not too long ago, where he lost his little brother. TheWrap got a little more “This Is Us” intel last night. Check out everything we know about Randall’s mysterious “her” here, get the break down of Jack and Rebecca’s first date here, and hear what Sterling K. Brown had to say about an upcoming Beth-centric episode here. “This Is Us” airs Tuesday at 9/8c on NBC.